Officials have filed multiple charges against a North Carolina couple and their daughter in connection with two cases of arson at homes of people the wife knew. The N.C. State Bureau of Investigation told news outlets it’s filed charges against 64-year-old Bonnie Harrell Neely of Mount Airy, including 223 counts of exploitation of the elderly and two counts of second-degree arson. Her husband and daughter are also accused of insurance fraud. The SBI said the charges stem from Bonnie Neely’s work as a caretaker, when she had access to elderly people’s money and used it improperly for at least five years. The other charges result from arson at two homes where Bonnie Neely worked as a caretaker in 2017. 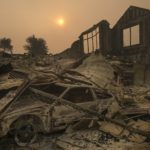 The three received at least $300,000 from insurance after the fires. The co-owner of a former housecleaning business in Snohomish County must pay more than $11,700 for her role in a scheme to avoid paying workers’ compensation insurance. Monica Ann Covey-Standley pleaded guilty Thursday, Aug. 8, to third-degree theft of wages and attempted false reporting of workers’ comp information, both gross misdemeanor offenses. Snohomish County Superior Court Judge Eric Lucas ordered the Snohomish woman to pay the Washington State Department of Labor & Industries (L&I) $11,743 − the amount of workers’ comp premiums she and her then-husband, Blake Joseph Standley, failed to pay for employees of their housecleaning company, Kogaty Interiors. Standley previously pleaded guilty to the same charges as his ex-wife, and received a similar sentence. Under the wage theft part of the case, Covey-Standley and Standley earlier paid one of their workers $1,030 in wages that were improperly withheld. As part of plea negotiations, the Washington Attorney General’s Office, which prosecuted the case, required the defendants to pay the worker in full before they could plead guilty. Judge Lucas also sentenced Covey-Standley to 364 days in jail, but suspended all but 15 days, which were converted to community service. She must serve two years on probation, and will face additional penalties if she commits a new crime or fails to follow restitution requirements during that period. The Attorney General prosecuted the case based on an L&I investigation. L&I began the investigation after auditing another business that Blake Standley managed; that audit led to questions about Kogaty Interiors. The charges stem from when Covey-Standley and Standley were married and co-owned the housecleaning business in Mill Creek. She ran Kogaty’s daily operations, and he communicated with L&I. Standley filed reports to L&I in 2013 and 2014, claiming the business had no employees, according to charging papers. However, an L&I investigation uncovered bank records showing the company was paying employees to clean houses during that time. Employees told investigators they worked for the company, and provided wage and tax statements, along with time sheets as proof. Based on the employee payroll records, charging papers said the couple should have paid L&I $11,743 in workers’ comp premiums. At least one employee, a worker who cleaned newly built houses for the company, was shorted out of pay. After the Standleys ignored her phone calls and emails requesting payment, she filed a wage complaint with L&I, which determined the couple owed her about $1,030.